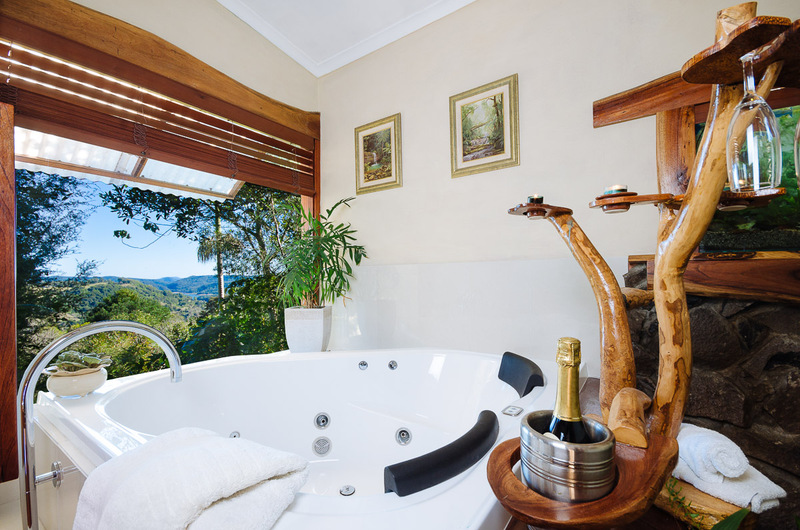 A Boutique Eco Resort & Day Spa for adults seeking Montville accommodation with 4 Cottages and 10 Serviced Apartments set on five acres of the most beautiful Hinterland parklands looking down on the East Coast of Australia – Queensland’s Sunshine Coast. 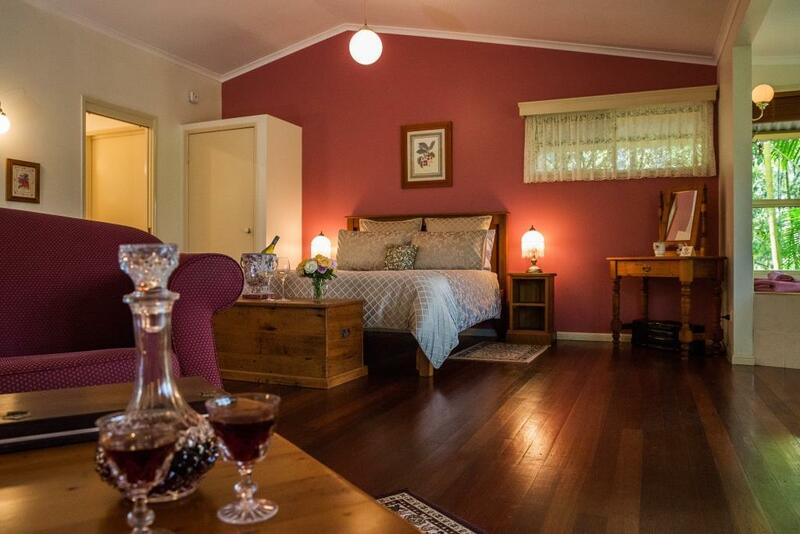 Cottages & Day Spa is your perfect getaway destination. The crisp mountain air, breathtaking views, and country ambience welcomes you in. Mouth-watering meals soothe the soul, and our day spa offers a peaceful place for reflection and nurturing of your mind and body. 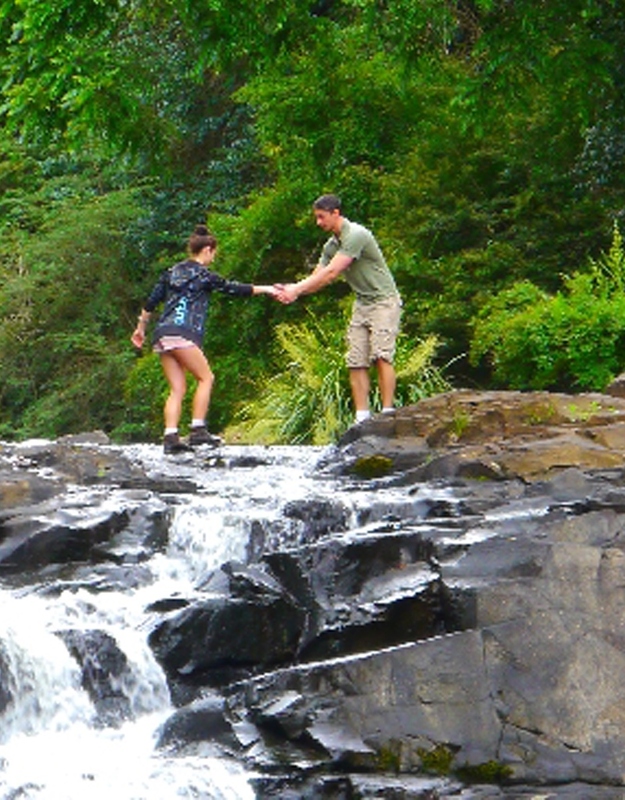 Rainforest Retreat & boutique luxury Eco Resort, set in beautiful rainforest with just trees and earth as your closest neighbours. Invigorate your senses with a peaceful escape where relaxation is the only item on your agenda. 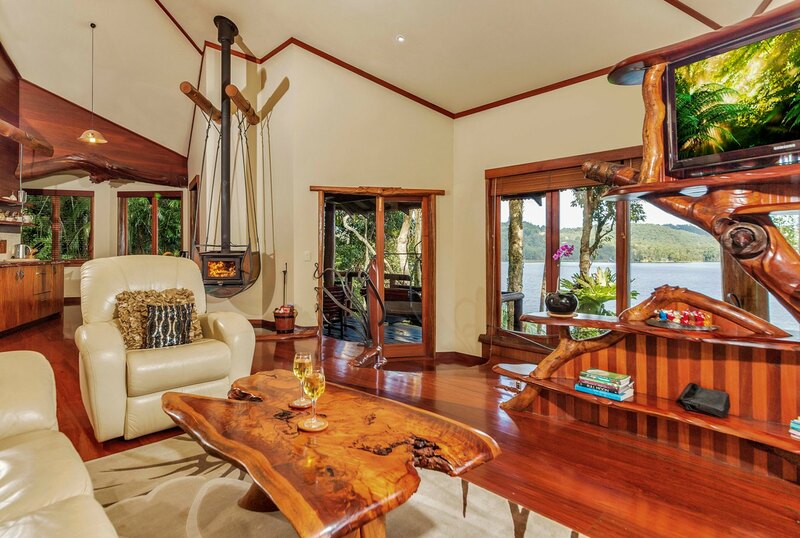 World class treehouses nestled high in the rainforest, with stunning views over Lake Baroon. Relax with a glass of Champagne in your double spa in front of your log fire, lunch in Secrets Cafe. You will never want to leave! 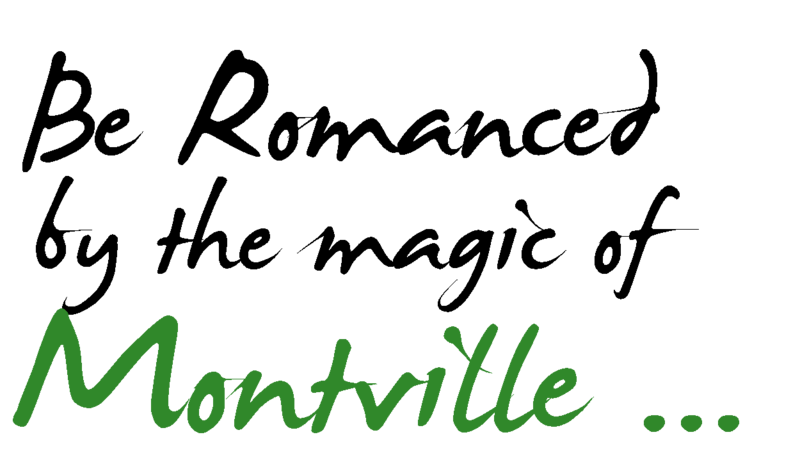 Be the first to hear of Montville Getaways news & special offers by signing up to receive our digital newsletter. you to our Region soon.